My own ABCs consist of places I have loved (Iceland), things I feared (Earthquakes), writers I have admired (Chesterton, Balzac, and Borges); things associated with my past life (Cleveland and Dartmouth College), and things I love to do (Automobiles and Books). This blog entry is my own humble attempt to imitate a writer whom I have read on and off for thirty years without having sated my curiosity. Consequently, over the months to come, you will see a number of postings under the heading “Tarnmoor’s ABCs” that will attempt to do for my life what Milosz accomplished for his. To see my other entries under this category, hit the tag below marked “ABCs”. I don’t guarantee that I will use up all 26 letters of the alphabet, but I’ll do my best. Today, we’re at the letter “K,” for President John F. Kennedy. There was so much hope placed in John Kennedy: He was the best, the brightest of his generation. When he was shot in Dallas on November 22, 1963, something died within me. Lyndon Johnson was in many ways a good president, but the war in Viet Nam grew bigger, uglier, and ever more unwinnable. And then after him came the beginnings of that horrible conservative anschluss that is still affecting us today. After John was killed, I placed my hope in Bobby Kennedy. He wasn’t, to my mind, the shining beacon of his older brother, but he was good. I remember being woken up by a phone call on June 6, 1968 by my friend Peter. He had been filming at the Ambassador Hotel in Los Angeles when Sirhan Sirhan shot Bobby. The FBI collected Peter’s film (which, in any case, didn’t capture the shooting) and never returned it. I was never a supporter of Ted Kennedy for president, though I think he was a great senator. I think we all had had too much heartbreak with the Kennedy family. Barack Obama ran in 2008 under the motto HOPE. That was my feeling about the Kennedys. Alas, that hope was dashed on the rocks of American politics. 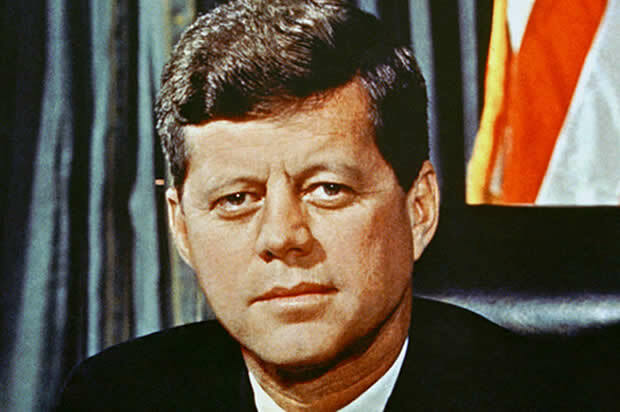 Curiously, John Kennedy and I were similar in one odd respect: He had Addison’s Disease, an adrenal insufficiency that is part of my own panhypopituitarism.